A Los Angeles man learned the meaning of “less lethal” after he came head-to-head with the LAPD. The incident, which took place in a downtown LA restaurant in late February, is currently under investigation and has recently re-surfaced in the headlines. 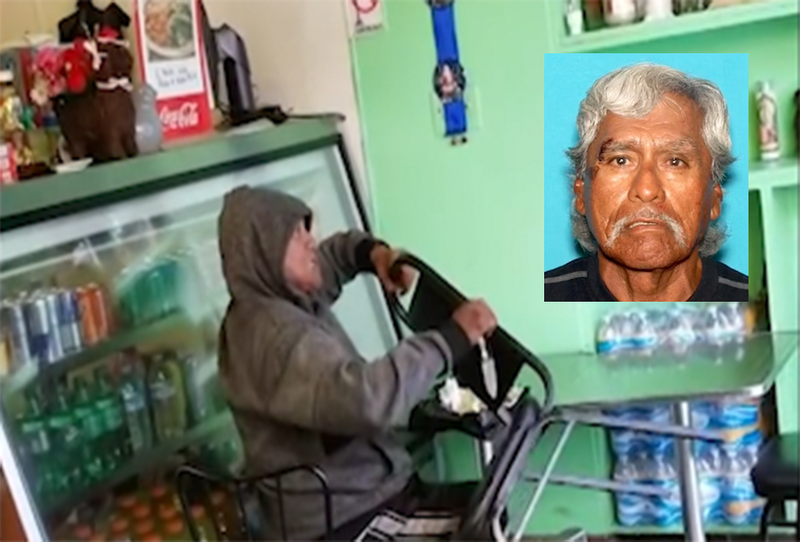 68-year-old Kenneth Sylvas reportedly took a 4-inch knife and threatened to cut the throat of a woman, who came to the restaurant for lunch. LAPD quickly responded to the scene and ordered Sylvas to drop the knife, lest he catch a rubber bullet or two from a 40mm launcher and less lethal-designated shotgun. “You drop the knife now… or you’re going to be hit with a rubber bullet, and it’s going to hurt,” an officer. According to KTLA, Sylvas told the officers he had a gun, and began shielding himself with a chair while he waited for his “unit” to reinforce him. “You’re in my country man. I put my life for this… Wait ’til my unit comes, we’re gonna kill your a**, man. ” Sylvas said. Needless to say, the 40mm and shotgun were used that day. After three rounds from the 40mm and two from the shotgun, Sylvas was disarmed and tackled to the ground. Sylvas was sent to the hospital for minor injuries and has a lengthy record of being drunk and making threats. Next articleOmar blaming Trump that death threats have increased since his tweet about the twin towers. Not her remarks causing the firestorm of anger. I really doubt the death threats began there. But Death to POTUS well the media is quiet on that.